Stuart graduated from the Anglo-European College of Chiropractic in 2011 after completing his MSc programme. He is a Member of the British Chiropractic Association and a Member of the Royal College of Chiropractors. 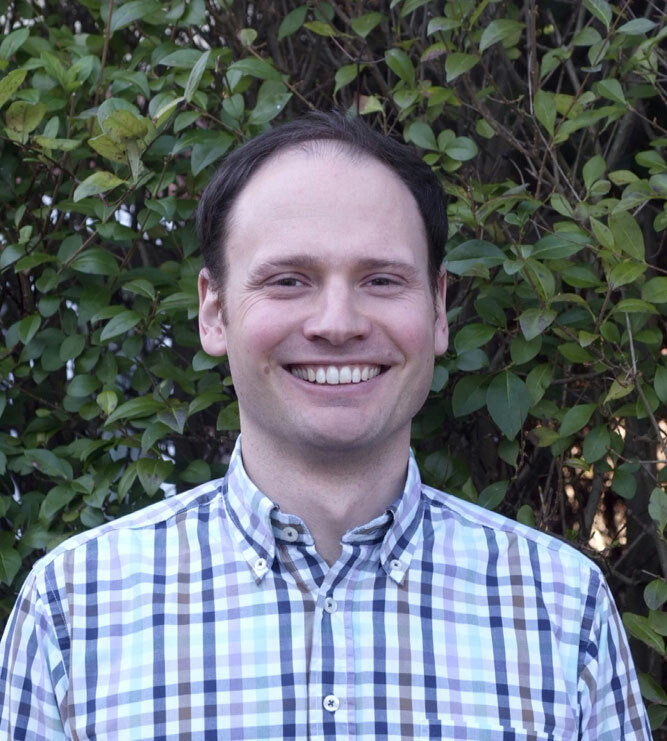 Stuart joined the Team at Haslemere Chiropractic Clinic in 2013, whilst providing locum cover for Fiona Ellis’ first maternity leave. We loved him so much that he wasn’t allowed to leave! Before studying to become a chiropractor, Stuart’s love of golf and interest in science lead him to the University of St Andrews where he studied Human Biology. Whilst studying there he was awarded a Golf Bursary by The Royal and Ancient Golf Club of St Andrews. Stuart continues to play golf off scratch at Walton Heath and St Andrews. This special interest in golf, combined with his chiropractic expertise, has lead Stuart to give teaching seminars about golf biomechanics. In recent years Stuart has been involved in giving lectures to members of the Professional Golfers Association as part of their membership continuing education programme. He also treats a number of professional golfers. Stuart enjoys treating a wide variety of muscle and joint related problems, especially those related to sport and office ergonomics. His interest in office ergonomics has led him to study the subject extensively, and to produce office chairs that now hold EU registered designs and a patent. With his patients, Stuart uses joint manipulation and mobilisation, dry needling (Western acupuncture), exercise rehabilitation and soft tissue techniques to alleviate pain and improve function. His professional training and sporting interests have allowed him to work with golfers (professional and amateur) both injured and healthy to help them improve their games. He uses his knowledge to provide in depth analysis of the golfer’s biomechanics during physical movements (including the golf swing) this information then allows him to isolate their physical weaknesses that can later be corrected. In order to keep fit Stuart also enjoys cycling, and has cycled across the Pyrenees tackling many of the famous mountain cols. In addition, he has run two marathons, the second of which allowed him to raise funds for Myeloma UK. When he gets the opportunity Stuart also loves to ski.